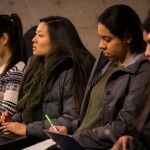 Husky Leadership Initiative Leadership Firesides offer ongoing opportunities for students to engage in meaningful dialogue with a diverse range of civic, corporate and campus leaders in an informal setting. These leaders share their personal journeys and perspectives on leadership and become momentary mentors for students attending the event. The Firesides are a way for students to learn more about and reflect on leadership and build their leadership competencies and confidence. 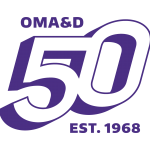 The Husky Leadership Initiative is pleased to be a partner of the UW Office of Minority Affairs & Diversity’s (OMA&D) 50th anniversary festivities in 2018. 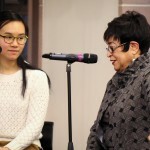 To recognize this milestone, the winter quarter Fireside series showcased five influential alumni who were impacted by OMA&D programs and/or served as champions of diversity, equity and inclusion during their time at the UW. 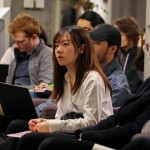 Mentioned here are three of these alumni, whose unique stories of leadership captured the attention of students in attendance. 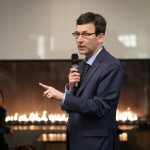 We were also fortunate enough to host Attorney General Bob Ferguson, another University of Washington alumnus, who shared stories ranging from being a chess master to filing a lawsuit against the federal government. 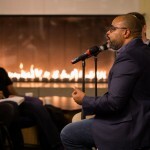 The audio recordings, photographs and biographies of these speakers can be found below. Franklin Donahoe is chief information security officer at Mylan Pharmaceuticals. He has more than 25 years of experience in cyber and physical security, as well as military service in the United States Marine Corps. He is the former director of information security architecture and design and risk management at T–Mobile USA and manager with Deliotte and Protiviti consulting firms and also the former chief information security officer of Costco Wholesale. Franklin has experience developing and executing strategy, operations and budgets for the protection of enterprise information assets and managing security programs. He is the principal and founder of Donahoe Advisory Group, a cybersecurity consulting firm offering executive level consulting, as well as deep technical security penetration testing for IT, industrial and IOT systems. 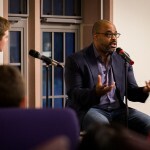 Franklin is the commissioner for Washington State African Affairs, and holds a bachelor’s degree from the University of Washington and two masters’ degrees from Carnegie Mellon University. Magdelena Fonseca is the interim director for the Office of Minority Affairs and Diversity’s (OMA&D) Samuel E. Kelly Ethnic Cultural Center. Fonseca has been particularly instrumental in leading OMA&D’s efforts to better serve and support undocumented students on the UW campus. 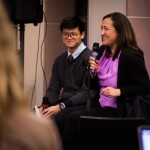 Her early work in this area started quietly, but as time passed and laws changed, she helped bring greater visibility to both the needs of undocumented students and the ways in which faculty and staff can serve as allies. 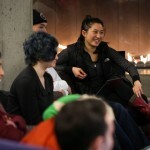 Her efforts have been led by the creation of the Kelly ECC’s Leadership Without Borders Center, which offers a space for connecting undocumented students to campus and community resources, as well as leadership development resources and peer advising. 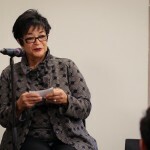 Fonseca’s contributions extend into the community as well. 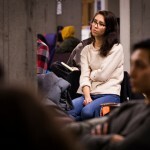 She is co-chair of the UW Latino/a Faculty Staff Association, and through a partnership with a Seattle organization called YouthCare, has volunteered at a transitional home center where undocumented, unattended youth stayed until being united with family. Dr. Connell completed her undergraduate degree, medical school and residency program at the UW, and has given back to her community both professionally and philanthropically. Since 1982, Dr. Connell has run her own private OB/GYN practice in Seattle’s First Hill neighborhood. She delivered babies until 2004 and now focuses primarily on surgery and office gynecology at her Johnson Connell Clinic for Women in the Nordstrom Tower. Among the highlights of her very successful career was delivering the youngest son and grandson of one of her UW mentors and friends, Dr. Samuel E. Kelly. While she was an undergraduate student at the UW in the late 1960s, Dr. Connell was among a group of African-American and minority students who chartered the first Black Student Union and, in doing so, helped build a springboard for the development of what is now OMA&D. When she began her studies at the UW Medical School, she was part of the largest class of women to have ever been accepted to the program, but was just one of three African-American females. She overcame the challenges of opening up her own practice during a time when few female doctors even practiced in the Seattle area. On top of juggling a solo practice and raising her family, Dr. Connell makes sure to always remain accessible to the community. She has been a keynote speaker for various events, raising awareness of women’s health issues and education. 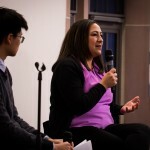 In addition to serving as a member of various professional associations, her most recent community involvement has focused on working with the Seattle chapter of Links, Inc., a predominantly African-American women’s organization that gives back to the community in many ways. Bob Ferguson is Washington state’s 18th attorney general. As the state’s chief legal officer, Ferguson is committed to protecting the people of Washington against powerful interests that don’t play by the rules. 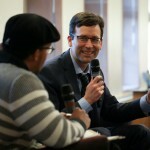 He is a fourth-generation Washingtonian, a graduate of the University of Washington and the New York University law school. Ferguson began his legal career in Spokane. He clerked for two federal judges before returning to Seattle to join Preston, Gates, and Ellis (now K&L Gates) where his civil litigation practice included work on behalf of taxpayers, corporations and small businesses. In addition, Ferguson is an internationally rated chess master and twice won the Washington State Chess Championship.